Personal injury (PI) is a legal term for an injury to the emotions, mind or body. For our office, and in United States jurisdictions, PI is a type of “tort” or civil wrong. Civil wrongs are something that causes someone else to suffer loss or harm resulting in a legal liability for the person who committed the wrong. This is not necessarily a criminal offense: the harm can be due to accident or negligence and intent is not taken into consideration. The rulings for determining a PI lawsuit are simple: only four things need to be proved to find a party at fault. That the party had a duty to act responsibly. For example, a driver has a duty to obey traffic signs. That the party violated this duty. To continue the example, a driver running through a red light. That the violation of their duty caused you to be harmed. i.e. the driver hit you after running through the red light. And last but not least, that you suffered monetary damages due to the harm you suffered. This can take multiple forms, but can include medical bills, loss of income if ability to work is affected, as well as a wide variety of emotional and quality of life damages. 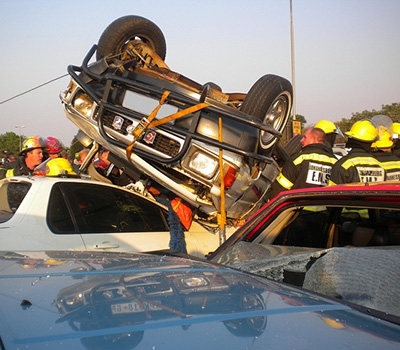 By the numbers, the most common PI cases are accidents, like an automobile or motorcycle accident. Other common cases include accidents at work, “tripping accidents”, assault claims, defamation claims, accidents resulting from a defective product (product liability), as well as medical negligence claims. Certain medical conditions, for example, respiratory ailments caused by asbestos, or health issues brought on by long-term exposure to toxic environmental contaminants (such as lead paint), may also be the result of negligence by a third party. Famous cases along these lines include lawsuits against Tobacco companies, and the one against PG&E in the film Erin Brockovich. These cases are sometimes called “industrial disease” cases, which include peritoneal mesothelioma and chest diseases such as emphysema, pneumoconiosis, silicosis, chronic bronchitis, asthma, chronic obstructive pulmonary disease, chronic obstructive airways disease, and more. Regardless of the injury, the legal process of determining liability in Personal Injury cases can be complicated: You’ll need the assistance of a personal injury attorney. There’s no need to go it alone: Call our specialists at the Law Offices of Edward Weisz. If you, or someone you know has suffered an injury, and you need a Personal Injury Lawyer Woodland Hills, please call us right away at (818) 936-3560 for a consultation.